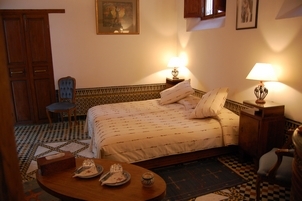 Located on the first floor, the Bayda room has a richly decorated ceiling, it is equiped with twin beds, it has a bathroom with a shower. 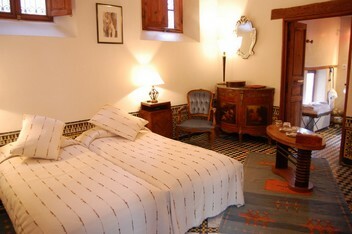 The Bayda room can be connected to the Mérinides to create a family suite for 4 persons. 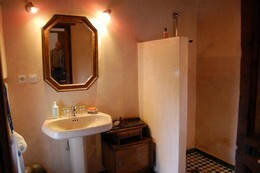 Room with air conditionning (hot and cold), safe, free wifi access.